A final series of tests will be conducted on the unit before it goes live. The second unit of the Kudankulam Nuclear Power Plant (KNPP) has reached 100 percent capacity (1000 megawatts) for the first time, a senior Rosatom official told RIR on Jan. 22. 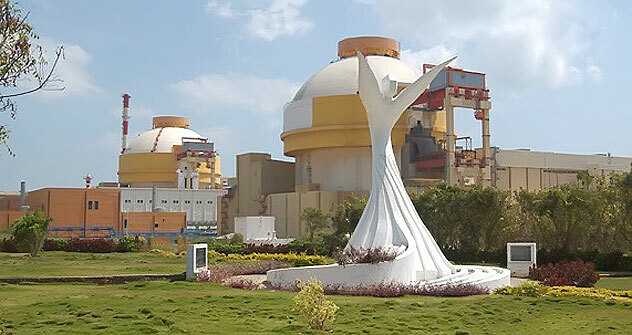 “After completing the physical experiments stage at 90 per cent power level and after obtaining the permission of the Indian regulatory authority, the reactor plant was brought to 100 per cent nominal level of neutron power,” said Andrey Lebedev, vice-president (South Asia), ASE Group of Companies, which is the construction and engineering division of Russian State Atomic Energy Corporation Rosatom. The unit will go live once these final tests are complete.